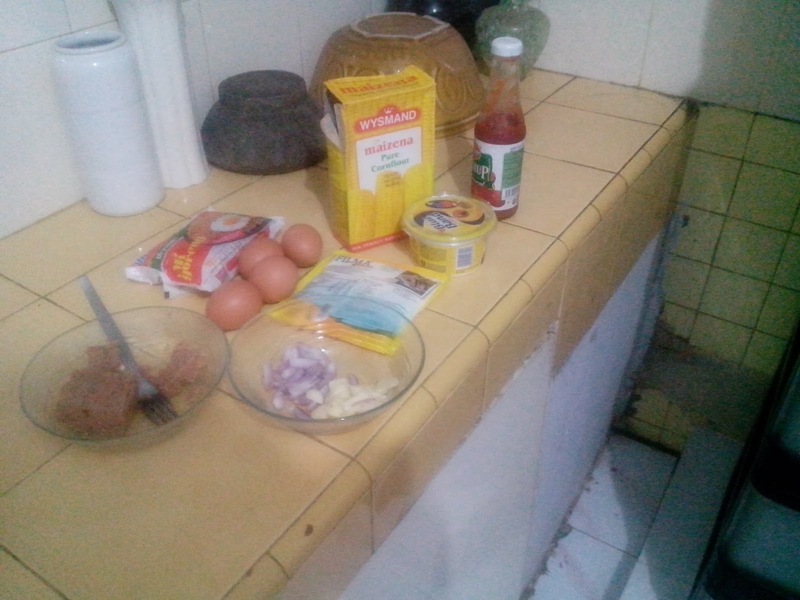 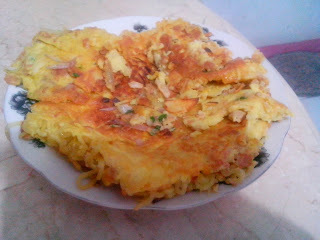 Last Monday.. i try to create my own omelete. and then i mix all the ingredient in one bowl (egg, maizena, etc) and stir the ingredient. after that i put the dough in frypan and i mix the boiled noodle with the dough. 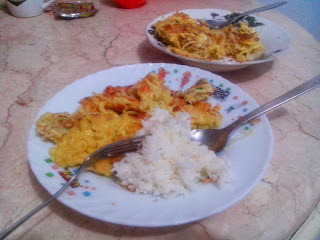 after that i eat the omelete with rice. 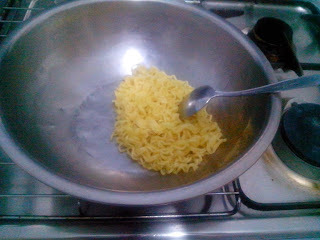 and i also give tomato sauce.